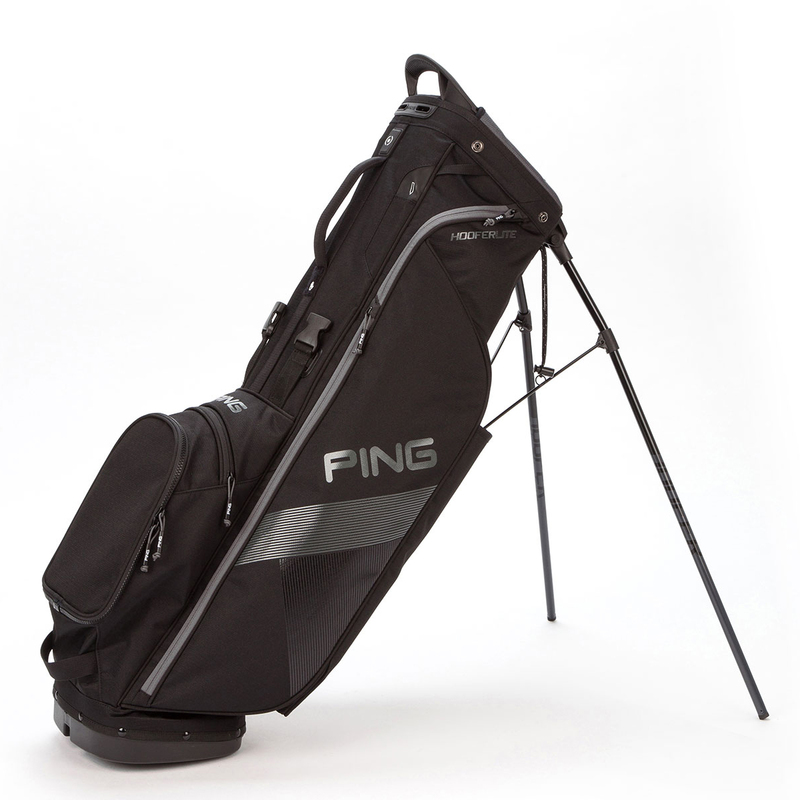 This lightweight golf bag features a 4-way top divider to keep your clubs organised. 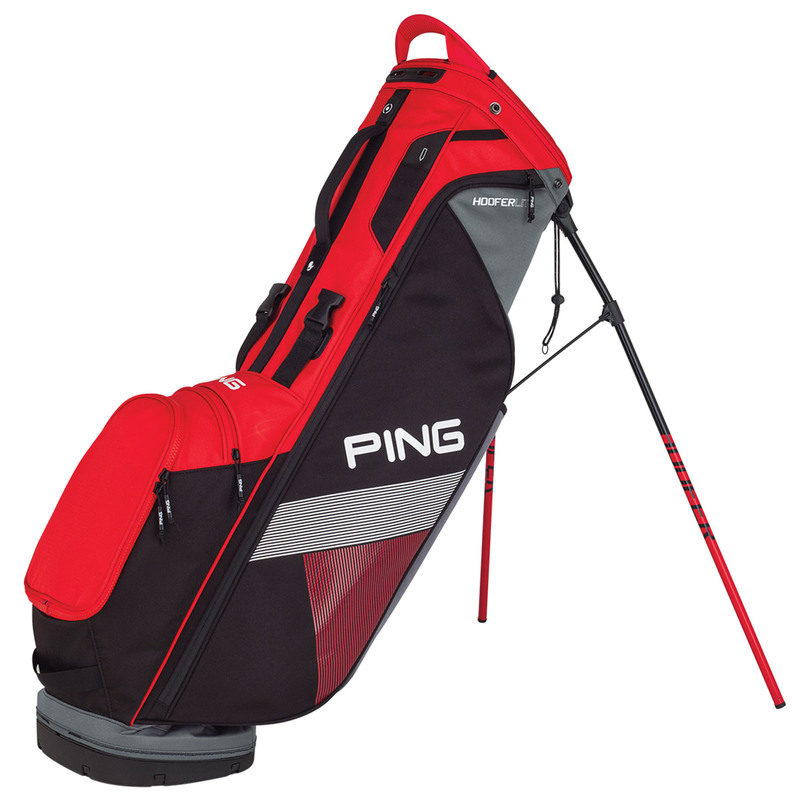 There are a total of 7 spacious pockets that includes, a range-finder pocket, padded valuables pocket with slip pocket, and a zip-off customisable golf ball pocket. 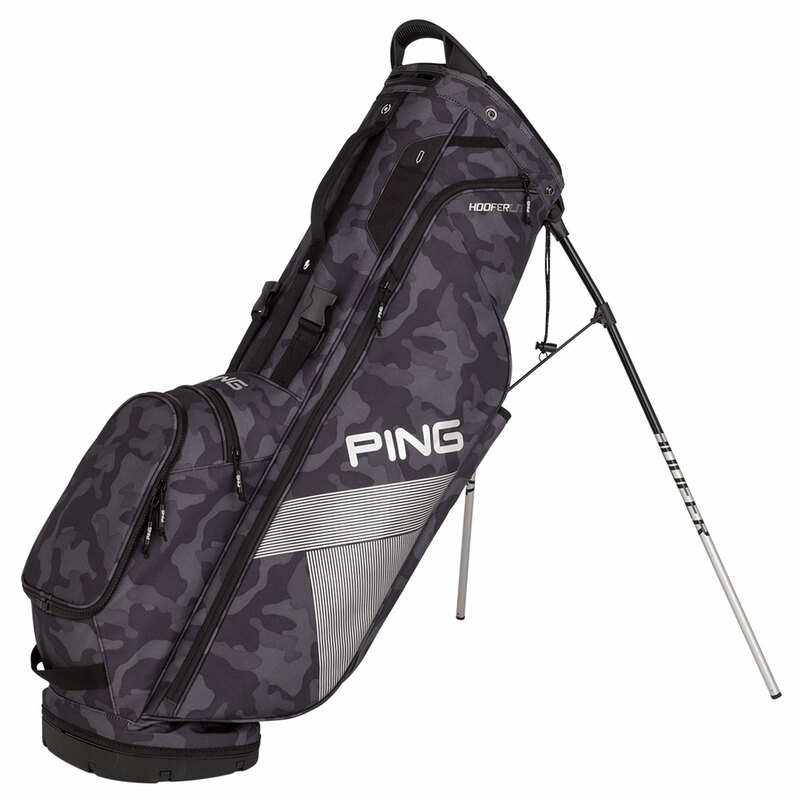 The bag has been constructed with a lightweight and durable high-denier polyester material, and has a built-in lift assist handle. For easy transportation the Hoofer comes with front-adjusting shoulder pads that feature SensorCool technology, and has an auto deploy stand and full contact base for a secure placement. An umbrella holder ensures you won't get caught out by the rain by having your umbrella close to hand and comes with matching rain hood inside.